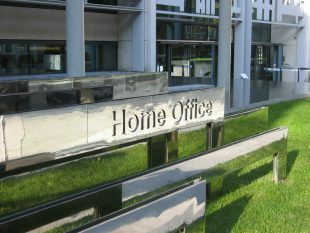 Today (Monday 30 July 2018) - the United Nations World Day against Trafficking in Persons - the Home Office has announced plans to launch an independent review of the Modern Slavery Act 2015 to ensure our world-first legislation keeps in step with this evolving crime. The independent review aims to strengthen the UK’s ongoing response and accelerate progress from Government and businesses in eradicating modern slavery. It will be led by Frank Field MP, Maria Miller MP and Baroness Butler-Sloss. An opinion piece by the Minister for Crime Safeguarding and Vulnerability about the review is featured in today's Evening Standard. The full announcement can be read here and the Crime Minister’s response is below. Also today the Home Office has published new research into the 'Cost of Modern Slavery' which can be found here. The Prime Minister established this country as a world leader in this fight against modern slavery through our ground-breaking laws and law enforcement approach. However, as this awful crime is evolving, it is our responsibility as citizens, businesses and governments to do all we can to stop exploitation. This independent review will help us identify what more we can do to tackle this terrible, global injustice by enhancing the Modern Slavery Act where necessary. Chairing the Business Against Slavery Forum last week, it is clear some companies are leading the way but others are falling behind. I’ve asked for this review to look at if we should strengthen our legislation to ensure businesses are taking robust action to eradicate forced labour in their supply chains.